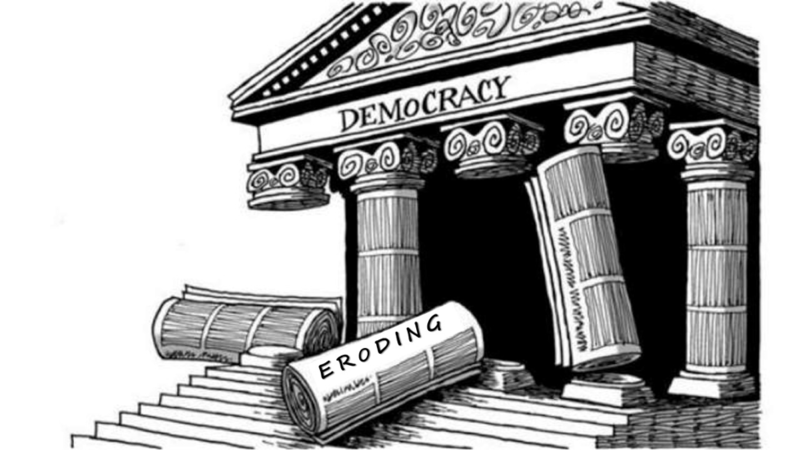 Efforts to enhance and strengthen democracy in Africa have been a continuous struggle for the past three decades. The transition from colonial rule to self rule understandably, was focused more on the systems that should govern African countries post the colonialists. This journey towards good governance has often been criticised for its lack of tangible economic outputs. Good governance on its own is not enough; people need tangible benefits – it`s the bread and butter issues. Rwanda has today risen from being a heaven for tribal hate to being one of the leaders in Africa. President Paul Kagame`s influence in Africa is soaring. He was recently selected to lead the reform process of the African Union. The progress of Rwanda post the 1994 genocide has been heart warming for Africa. This has made Rwanda a model for transition, reconciliation, good governance and economic growth. Although a classic example of successful transition, president Kagame has lately come under criticism for his intolerance of opposing voices. While there has been great progress in improving the economic standing of Rwanda, political freedoms have taken a back foot. Rwanda needs political transition that is sustainable beyond Kagame`s rule if the economic progress is to be salvaged. Often, most African countries find themselves at unfair cross roads. Having to choose between two things that are meant to be complimentary -Good governance and economic growth. Most African countries struggle to successfully find this important balance. As Rwanda emerged from the genocide in late 1994, the country struggled to build momentum. Leaders like President Pasteur Bizimungu, courted international donors and sponsors –he laboured unsuccessfully to jumpstart investment, boost the overall economy and foster reconciliation. When current Rwandan President Kagame assumed office in March 2000 after Bizimungu resigned, and subsequently won the election in August 2003, sceptics predicted more failure. But today’s Rwanda—under the leadership of Kagame has emerged as a model for economic growth, with Kagame as the revered face of African leadership. Rwanda was torn apart when Kagame took power. It was a country cut along two parallel lines, the tribal line and the political line. The hope for a peaceful transition was slim, while fears of Rwanda sliding back to war were more pronounced. Against the odds, Kagame took over from Bizimungu and managed to build an attractive economy and a stable governing system. Rwanda notched up GDP growth of 8% per year between 2011 and 2014. The percentage of people living below the poverty line reduced from 57% in 2005 to 45% in 2010 – this despite 63% living under extreme poverty (living on less than $1.25 a day). Under Mr Kagame’s rule, Rwanda opened its first maize flour factory, improved its road network, established a national airline, is building a new $800m international airport and plans to boost its status as a business hub with a conference centre that will cost at least $300m. His rule has seen to tarmac roads, street lighting and thriving businesses to the site of one of the worst massacres of the 1994 genocide. Primary school attendance has trebled, child mortality has halved and parliament has achieved the highest proportion of female members in the world; Rwanda has also experienced the opening of the country’s first public library. Still believing that he has a patriotic mission to fulfil, Mr Kagame won a third term on 4 August 2017.This followed a controversial constitutional amendment in 2015 allowing him to run for a further three terms. Kagame`s critics, especially those opposing his methods of governing, say Rwanda is an authoritarian state where democracy and human rights are trampled upon and dissenters are hunted down. When Kagame won the 2010 election with 93% of the vote, three major opposition parties were excluded from the ballot; two of their leaders were jailed and still languish there today. The third candidate, Frank Habineza of the Democratic Green party, was also arrested briefly then went into exile after his deputy, André Kagwa Rwisereka, was found dead – nearly decapitated. International media watchdog, Reporters Without Borders identifies him as a “predator” who attacks press freedom, citing the fact that in the last two decades, eight journalists have been killed or gone missing; 11 have been given long jail terms, and 33 forced to flee Rwanda.Elections in Rwanda have been criticised for being unfair due to a climate of fear created by years of repression against opposition politicians, journalists and human rights defenders. Mr Kagame`s persecution of opposition parties and strong hand in governance institutions contributed to him winning the elections with victory margins of 95%, 93% and 99% in the 2003, 2010 and 2017 respectively. The achievements of President Paul Kagame are incredible. Poverty reduction, access to education and infrastructure development were all key areas in improving the lives of Rwandans. The debate of what is more important, development coupled with economic growth or good governance misses the point. There is no doubt that the first fight is a bread and butter one. The real benefits to the people from any system of governing should be amongst others; alleviating poverty, preparing a better future through education and job creation through development i.e. in infrastructure. Once people can sustain themselves and families through deliberate systems created or enhanced through state policy – other freedoms are then prioritised. Notwithstanding the milestones, Kagame has taken away crucial rights. These include right to protest, freedom of speech, and political plurality. These rights are the lifeline of any sustainable functional state. It is possible to improve the lives of Rwandans immensely while depriving them of these essential freedoms. However, it is not sustainable, there are a few dangers that come with repression especially in a country with Rwanda`s history. Rwanda is at a risk of relapse post Kagame; transitions are harder when one man has led for more than two decades with an iron fist. His party is bound to go into factional wars while the evil head of tribal hate always has the potential to rise again. It is great achievement to serve the people and to serve them well. Kagame should first accept that he is not an eternal leader of Rwanda and if he thinks he is the only one capable to rule in Rwanda, his rule has been even more disastrous. To keep those gains of his rule, Kagame needs to peacefully hand over power, and allow a smooth democratic process. Anything else may cause very strong dissent. While it is heart warming to see Rwanda flourish, the persecution of opposition voices gives chills. Rwanda is in a volatile region; its history with rebellion still makes Rwanda itself volatile. Without allowing fair competition and real peace and reconciliation, Rwanda remains on the edge. Kagire, E. 2017. Kagame to meet AU foreign ministers over reforms progress. Available at: http://www.theeastafrican.co.ke/news/Paul-Kagame-AU-foreign-ministers-reforms-progress/2558-3915008-n7s1wnz/index.html. (Accessed: 22 October 2017). Hutt, R. 2016. ‘5 things to know about Rwanda’s economy’. World Economic Forum. Available at: https://www.weforum.org/agenda/2016/04/5-things-to-know-about-rwanda-s-economy/. (Accessed: 21 October 2017). BBC. 2017. Rwanda`s Paul Kagame – visionary or tyrant? Available at: http://www.bbc.com/news/10479882. (Accessed: 23 October 2017). Smith, D. 2012. 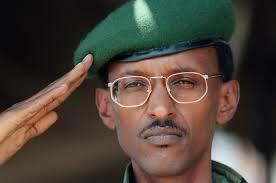 Paul Kagame`s Rwanda, African success story or authoritarian state. Available at: https://www.theguardian.com/world/2012/oct/10/paul-kagame-rwanda-success-authoritarian. (Accessed: 23 October 2017).